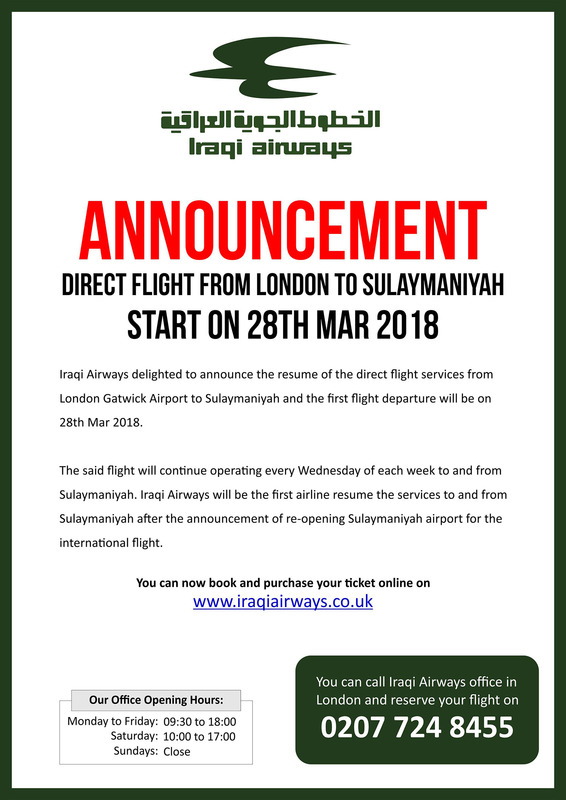 Important Note: For departures from Iraq into the UK, all passengers must send a copy of their passport to details@iraqiaiways.co.uk in order for us to issue a ticket. Those passenger that require a visa must send us a copy of a valid visa. Iraqi passport holders are not allowed to book one way tickets into the UK � regardless of the type of visa they may have. New schedule for Baghdad flight. Kindly read this before you book your ticket with Iraqi Airways and avoid being charged for any excess baggage. Please click on the link and read the restrictions carefully. 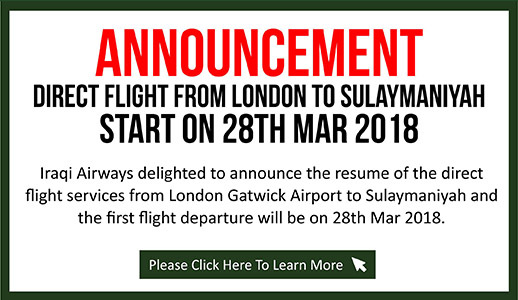 Iraqi Airways flight schedule flights To and From UK will be rescheduled from 26th March 2016. �2009 Iraqi Airways | All rights reserved.